Prorider Denis Rybalko tested MSX125 with studded tires. Detailed video How to Stud tires watch at our channel. Spikes work well and have good grip. 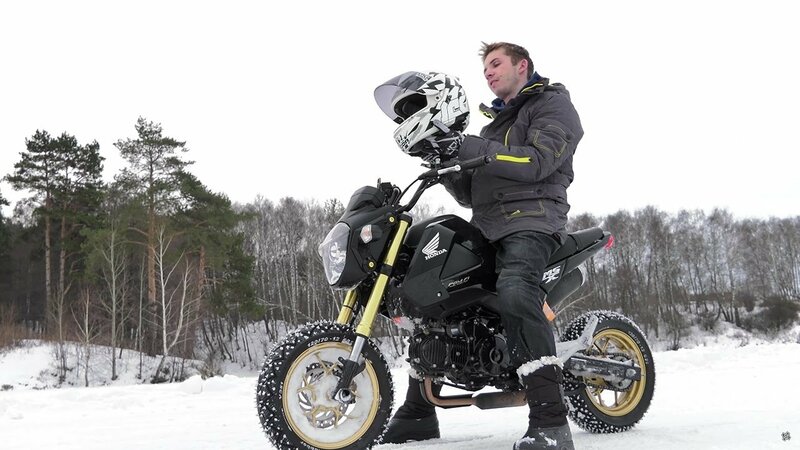 GROM easily makes wheelie, stoppie and drift on the ice, also it rides the snow confidently.